There’s a lot to admire about Kristen Lundgren. 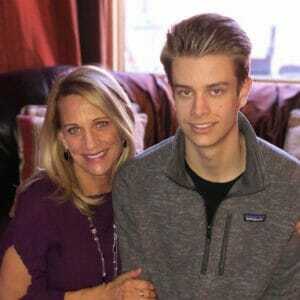 In 2014, Lundgren, a single mom, left a six-figure sales job because she wanted to work from home to be there for her son, Gabe, who is now 18 years old and a college student. “I was missing soccer and basketball games and leaving him home alone for long stretches of time. He’d get home at 3, and I might get home at 7 or 8, depending on traffic,” Lundgren says. That’s how, in the course of her research, she became the franchise owner of Our Town America in Eden Prairie, a suburb of Minneapolis. We caught up with her recently. Here are a few highlights from our conversation. Least surprising challenge Lundgren faces as a business owner. Landing clients. Of course, sometimes it’s easy, but sometimes it isn’t. And sometimes it’s surprising who is hard to keep as a client. “So, dentists seem like such a great category, where they would want to market to people moving into a neighborhood for the first time, but it’s sometimes difficult to connect with them because they often keep their distance behind gatekeepers,” Lundgren says. But that said, one of Lundgren’s very first clients was a dentist – and who must have had a pretty good response rate from new movers because she has kept that dentist on as a client since she started her franchise in 2014. Ultimately, Lundgren kept working at it and was finally allowed to make her pitch to the dentist, who ultimately signed up. Lundgren’s advice for her fellow franchise owners. She recently utilized a Sales Training and consulting firm that does a lot of work with Our Town America. And Lundgren’s advice for somebody considering buying a franchise. “You need to ask all of the right questions, and if you do become a franchise owner, you need to be prepared that it isn’t going to always be easy. You’re going to have days where clients cancel if they don’t get the response they were looking for, and that’s going to be frustrating. But you have to be able to go back out there and be creative and resourceful,” Lundgren says. In other words, if you get discouraged easily, this isn’t the business for you. If you enjoy selling and running a business and all the perks and pitfalls that come with it, and you enjoy creating your own schedule and carving out time to hang out with your kids, then this just may be your thing! For more information about opening an Our Town America franchise, please visit https://www.ourtownamerica.com/franchise-us/ or call 1-800-497-8360, or if you're a business interested in partnering with Kristen - give her a call at 612-709-3859 or email klundgren@ourtown.net.